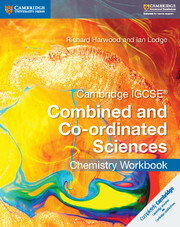 This Chemistry Workbook is tailored to the Cambridge IGCSE® Combined Science 0653 and Co-ordinated Sciences 0654 syllabuses for first examination in 2019 and is endorsed for learner support by Cambridge International Examinations. 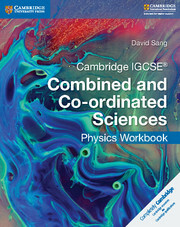 Covering both the Core and the Supplement material, this workbook contains exercises arranged in the same order as the coursebook and are clearly marked according to the syllabus they cover. Developing students’ scientific skills, these exercises are complemented by self-assessment checklists to help them evaluate their work as they go. Answers are provided at the back of the book. Exercises designed to develop skills in problem-solving and data handling, planning investigations and application of theory to practice to help them achieve their assessment objectives with confidence. Self-assessment checklists help students to develop an evaluative approach to their work as they progress through the course. 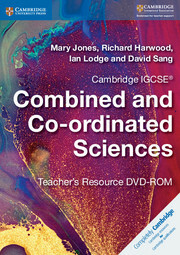 Answers to the exercises in the workbook are included at the back of the book to reinforce their knowledge.. 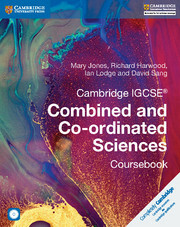 Authored by Richard Harwood and Ian Lodge, accomplished examiners and writers who bring a wealth of experience to the title. 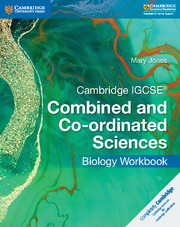 Covers the Core and the Supplement material for both Combined and Co-ordinated Sciences in one workbook. C7. How far? How fast?